Red All Over: Pac-12 honors Steve Smith Sr., who could become Utah’s second Pro Football Hall of Famer. And what’s next for Eric Weddle? The Ute basketball team hosts USC on Thursday night, launching the final week of the regular season. (Chris Detrick | The Salt Lake Tribune file photo) Crimson Club Hall of Fame member Steve Smith Sr. is honored at halftime during the game at Rice-Eccles Stadium Saturday, October 21, 2017. The Pac-12 has widened its membership in the conference's Hall of Honor to include athletes in sports other than basketball, and football player Steve Smith Sr. will be Utah's honoree during next week's Pac-12 men's basketball tournament in Las Vegas. The news of Smith’s award came this week, just as his former Baltimore Ravens teammate, ex-Ute defensive back Eric Weddle, was being released by the team, as the Baltimore Sun explained (SUN). Each player has produced a phenomenal NFL career, and Weddle's may not be over. When he's eligible in 2022, Smith will be a candidate for the Pro Football Hall of Fame, with the hope of following safety Larry Wilson as the Utes' second inductee. Smith caught 1,031 passes in his 16-year career with Carolina and Baltimore. Weddle has played 12 seasons with San Diego and Baltimore. He's likely to have multiple offers from NFL teams, if he chooses to keep playing at age 34. Smith will visit the Utah campus March 30 as the guest speaker during the Ute football staff’s annual coaching clinic. That event comes in the middle of Utah’s spring practice, which started Monday (TRIB). Before taking the field, coach Kyle Whittingham signed a two-year contract extension that will take him through the 2023 season (TRIB). Whittingham is 59; I’m figuring he’ll coach three or four more years, although he may keep going if he continues to enjoy the job. Senior safety Julian Blackmon produced one of the highlights of Utes’ first practice, making a nice interception of a long pass from Tyler Huntley. Blackmon seems excited about his move from cornerback (TRIB). After Thursday's third practice of the spring, the Utes will take next week off for the school's spring break and resume drills March 19. After 16 conference games, the Utah men’s basketball team has its primary goal available this week: a top-four finish in the conference. The Utes also could fall a long way in the seeding for next week’s Pac-12 tournament in Las Vegas. I’ve been saying for several weeks that a winning record (overall and in conference play) would make this season a success for coach Larry Krystkowiak’s program. The Utes could have clinched that mark, but they lost last weekend at Colorado as a result of poor shooting (TRIB). So they’re 15-13 (9-7 Pac-12), going into home games Thursday night vs. USC and Saturday vs. UCLA. The big question is whether the Utes can play better at home, where they’re 3-4 in league games (TRIB). My preview of the final week includes a link to a site that projects where every Pac-12 team would be seeded in the tournament, based on this week’s results (TRIB). The No. 6-seeded Ute women’s basketball team opens the Pac-12 tournament Thursday night vs. Washington in Las Vegas (TRIB). This season has been a breakthrough for coach Lynne Roberts’ program, amid personnel shortages and missed opportunities. Winning more than one game in Las Vegas will be difficult, with No. 3 seed Oregon State as Utah’s quarterfinal opponent. The women’s gymnastics team has a week off during an otherwise crowded schedule for Utah athletics. 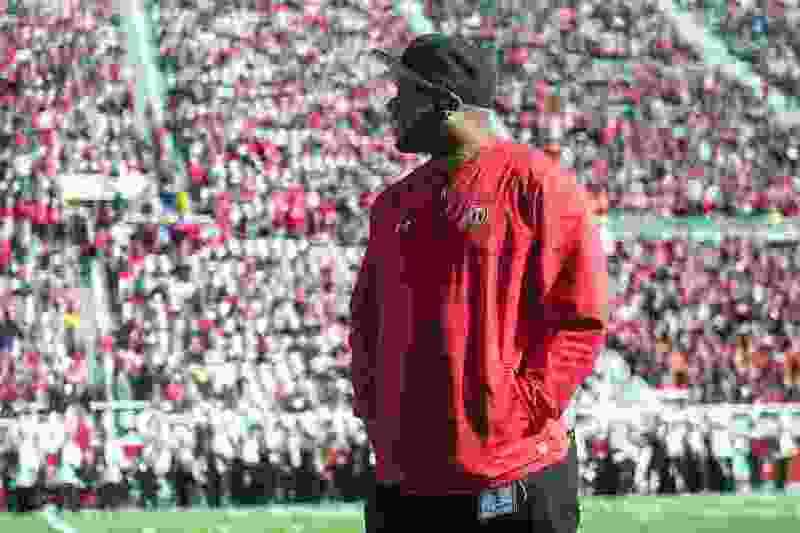 The Utes staged a successful Senior Day last Saturday (TRIB). And here’s Lya Wodraska’s look at the coach who’s behind the Utes’ improvement on vault (TRIB). Athlon Sports has ranked all 130 teams in the FBS, treating Utah favorably. Check this list to see how the Utes and their 11 FBS opponents of 2019 are viewed (ATH). Dirk Facer of the Deseret News found a good subject in Beau Rydalch, one of the four basketball players the Utes will honor Saturday (DNEWS). Writing for the Pac-12 Hotline, Brian Bennett analyzed the disappointment level of each men’s basketball team (MERC). • The Utah men’s and women’s ski team is seeking another national championship this week in Vermont. The Utes took the team lead Wednesday as freshman Julia Richter won the women’s 5K freestyle event. The competition goes through Saturday. • The Ute baseball team’s home-opening series vs. Niagara is scheduled Friday through Sunday at Smith’s Ballpark, although snow is forecasted for Friday. Niagara is making the trip, anyway, with two games booked at Utah Valley next week. The Utes (5-5) will host Gonzaga on Tuesday before starting Pac-12 play next week at Arizona. • Lacrosse is played in any weather conditions except lightning. The Utes (3-3) will meet Bellarmine at 1 p.m. Saturday at Judge Memorial High School.